Combine a inside tour of Alcatraz with the experience of our three unique attractions including Ripley’s Believe It or Not! Odditorium, our Marvelous Mirror Maze and our Impossible LaseRace – all located in the world famous Fisherman’s Wharf near Pier 39 in San Francisco, California. 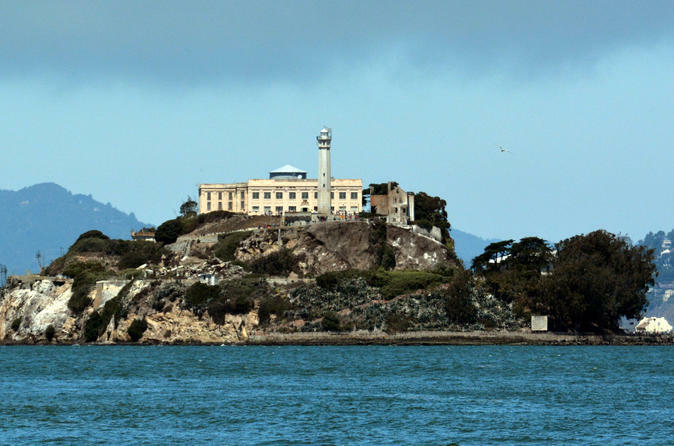 Included is an Alcatraz Ferry Ride and explore inside Alcatraz cell house with audio tour! Ferry ride is assigned by Alcatraz and guest will be notified of time once approved by Viator. Experience our three unique attractions including Ripley’s Believe It or Not! Odditorium, our Marvelous Mirror Maze and stop by the delicious Candy and Toy Factory, then test your skills in the Impossible LaseRace – all located in the world famous Fisherman’s Wharf near Pier 39 in San Francisco, California. Ferry ride to the island and inside audio tour. Stay as long as you wish until the island closes. Return on any ferry. Human and animal oddities. Exotic primitive items, including authentic shrunken heads, mind-boggling artwork. Since 1976 we have carried on Ripley’s tradition of scouring the globe for the most unbelievable exhibits. Find your way out! Corners, dead ends, and infinite reflections. Never look at a mirror the same. Navigate through the web of lasers, going over and under lasers as quickly as possible to reach the end of the Maze. The Collection guide book packed with pictures; games; and facts to take home!